FDC 6/4280 ZLA CA.. FLIGHT RESTRICTIONS 25 W PALM SPRINGS, CA. EFFECTIVE IMMEDIATELY UNTIL FURTHER NOTICE. PURSUANT TO 14 CFR SECTION 91.137(A)(2) TEMPORARY FLIGHT RESTRICTIONS ARE IN EFFECT WITHIN A 3 NAUTICAL MILE RADIUS OF 340223N/1165315W OR THE PALM SPRINGS /PSP/ VORTAC 281.0 DEGREE RADIAL AT 25.0 NAUTICAL MILES AT AND BELOW 11000 FEET MSL TO PROVIDE A SAFE ENVIRONMENT FOR ACCIDENT INVESTIGATION. 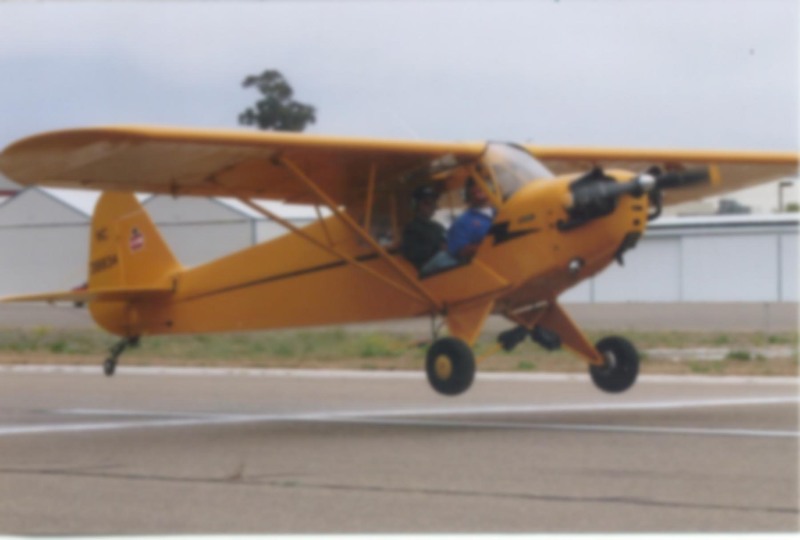 YUCAIPA, Calif. – Authorities have located the wreckage of a plane owned by Cessna Aircraft that crashed Tuesday in steep terrain in San Bernardino County. Both men on board, a Cessna employee and the president of an aircraft sales company, were killed. The FAA says the Cessna Caravan disappeared off radar about 5 p.m. The plane was en route to Ontario from Wichita, Kansas, where the Cessna company is based. Cessna CEO Jack Pelton identified those aboard as Steve O’Neill, a regional sales manager for the company, and Rick Voorhis, president of Pacific Aircraft Sales in Reno, Nevada. Curious. 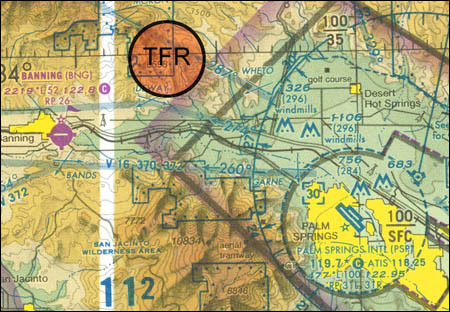 Why would a GA aircraft accident require a TFR? I don’t recall having seen this before, especially for an accident that is not “high profile” like the crash of JFK, Jr.’s Saratoga. This TFR is not quite as large as it seems. It’s from the surface to 11,000 feet MSL, but the terrain is notated on the Los Angeles sectional as reaching 6,600 feet MSL in that area. Wow. First I’d heard of this. I worked as a flight instructor for Rick Voorhis when he was the owner of Van Nuys Flight Center.